We are leading manufacturers & exporters of Electronic Test & Measuring Instruments. These are well recognized for precision & accuracy and are used by Electrical, Electronic Industries, Calibration & Testing laboratories. We are successfully emerged as leading manufacturer & exporter of Electronic Test & Measuring Instruments. Well recognized for precision and accuracy, these find extensive usage in Electrical, Electronic Industries, Calibration as well as Testing laboratories. Our experience of 15 years also allows us to successfully handling demands of Calibrators, Panel Meters, Power Sources and Testers. 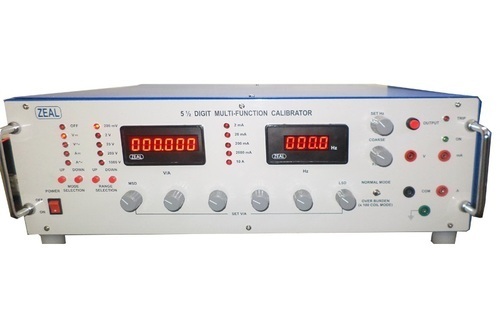 Other than this, we also offer Repairing & Calibration Services for Electronic Test and measuring Instruments.